Yearbook classifieds for Baraga High yearbooks are listed below. If you want to see if others from Baraga, MI high schools want to make a trade for a yearbook, post your info below. 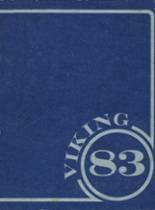 I would love to find a copy of the 1984 baraga high school yearbook. mine was lost a few years ago in a move.